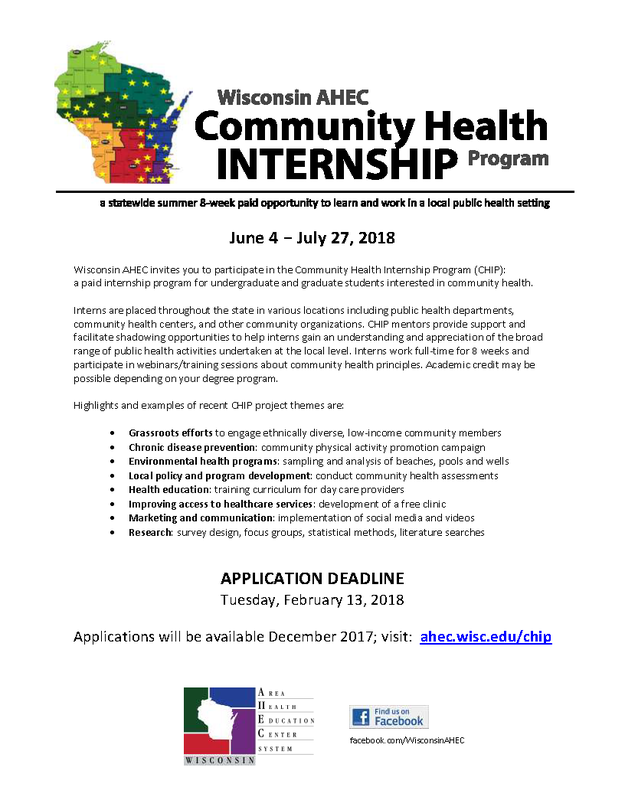 An 8-week internship ($2,400 stipend) to work full time in a local health department or community agency. 70+ sites are offered June 4 – July 27, 2018. Each intern is hosted by an experienced professional and participates in additional curriculum and enrichment activities coordinated by AHEC. A wide range of focus areas are available among the internships, offering opportunities for any academic major, all with the common theme of community health. Applications are due Tuesday, February 13, 2018.